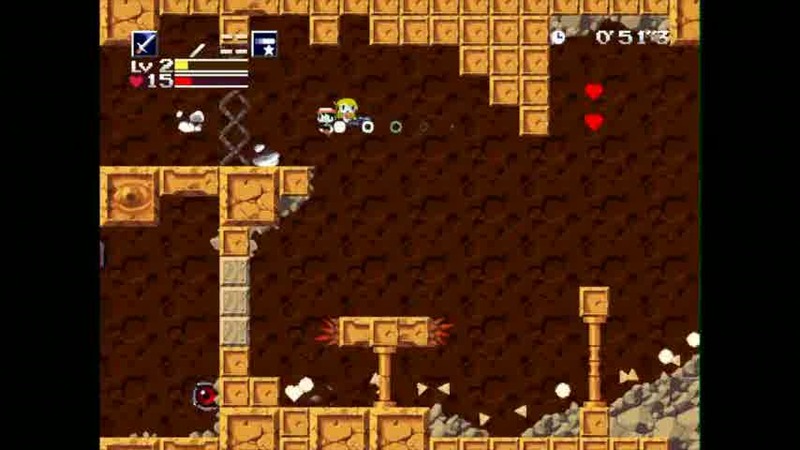 The new - and arguably definitive - version of Cave Story is coming to 3DS via the eShop on 4th of October for $9.99, publisher Nicalis has announced. To put this in perspective, there are already two versions of Cave Story available on the Nintendo's handheld platform. Cave Story 3D is a full-priced retail remake that came out last year, while a 2D version that was essentially the same as the WiiWare release came out on DSiWare. The problem with the latter was that it would lose some of its resolution when converted onto 3DS. This latest version is configured to widescreen, supports a higher resolution, bolsters the sort of 3D graphics the system is known for (i.e. it's still a 2D game, only the layers stand out), and it contains the added Wind Fortress stage from last year's PC release. Some may balk at the notion of having to buy it again - and indeed producer Tyrone Rodriguez fought to make it a simple update to the DSiWare version, before a slew of logistic issues prevented this - but with a cavalcade of last gen titles like Shadow of the Colossus, Ratchet & Clank, and God of War getting the HD treatment, it's nice to see an indie title get the same attention instead of the rough-hewn backwards compatibility we're used to.